Technology’s heavy hitters are in Chicago this week, showing off their latest ed-tech offerings at International Society for Technology in Education conference. For Google, that means some key updates to Classrooms, the free, browser-based educational software that’s currently used by “over 30 million students” globally, by its count. Electric vehicles are proving that anything gas guzzlers can do, electric vehicles can do better. At least, that was certainly the case at the Pikes Peak International Hill Climb, where Volkswagen’s electric racing car not only broke the record for the fastest EV climb of the steep hill, but also smashed the overall record by completing the course in 7 minutes, 51.148 seconds. The record was set by Romain Dumas, who drove the 500-kW I.D. 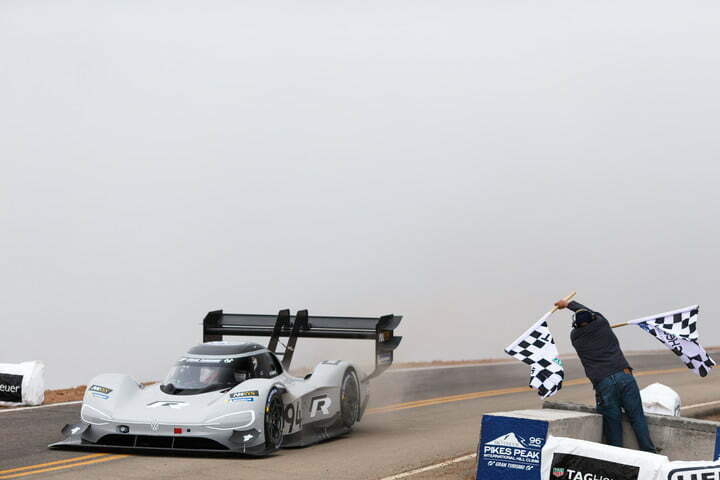 R Pikes Peak to defeat a field that included cars boasting conventional drivetrain technology. Dumas broke the previous overall record set in 2013 by a whopping 16 seconds, proving that EV technology has certainly come a long way in the last several years. The Pikes Peak International Hill Climb is no easy course. It spans just under 20 kilometers (about 12.5 miles) and features 156 corners and only one attempt at victory. This latest win marked Dumas’ fourth No. 1 finish, but the first for the I.D. R Pikes Peak EV. Volkswagen notes that the car is specifically built to handle the demands of hill climbs, combining minimum weight, maximum downforce, and maximum power. Even with its battery cells, the I.D. R Pikes Peak weighs in at just over 2,400 pounds. Volkswagen also implemented new charging technology for this groundbreaking EV, with the goal of charging the car as quickly as possible by expending as little energy as possible. The car is fueled by glycerol, which combusts with effectively no dangerous exhaust fumes or residue. But perhaps most impressive was the amount of time (or lack thereof) required to build the I.D. R Pikes Peak. From start to finish, the EV was developed and constructed in just 250 days. Apple is stepping up its game when it comes to its audio devices, and has plans to launch higher-end AirPods, a new HomePod, and studio-quality over-ear headphones in the near future, according to a recent Bloomberg report. Rumors around new and improved music devices and smart speakers have been swirling for months, and it would appear that Apple is now making moves to bring these highly anticipated, upgraded devices to life. The new AirPods, HomePod, and headphones could be released as early as 2019, though no specific timeline has yet been reported. According to Bloomberg’s sources, the Cupertino-based tech giant is looking to produce AirPods that have noise-canceling properties, as well as water resistance. Apple also wants to ensure that these new AirPods can work even when relatively far away from their companion smartphone or tablet. And while you won’t be able to jump into a pool wearing the AirPods, Apple hopes that you’ll be able to go on a long run (even in the rain) without having to worry about sweat or precipitation damaging the earbuds. There might also be the possibility of adding biometric sensors to upcoming AirPods, including a heart rate monitor, to further strengthen Apple’s health-related products. Of course, with these new features, it’s likely that the AirPods will cost more than they do now ($159). As for the over-ear headphones, Apple is hoping to create a high-end product that can compete with offerings from companies such as Bose and Sennheiser. Rather than utilizing Beats branding, these new headphones will feature the Apple name, and should be released in 2019. Initially, Apple was targeting a 2018 launch date, but development setbacks have delayed the timeline. Apple is apparently thinking of working with audio system manufacturer Tymphany as a production partner for the headphones, though the deal has not yet been finalized and production has not yet begun. It’s unclear exactly what the new HomePod will look like, but it’s likely the Apple product that needs the most work. 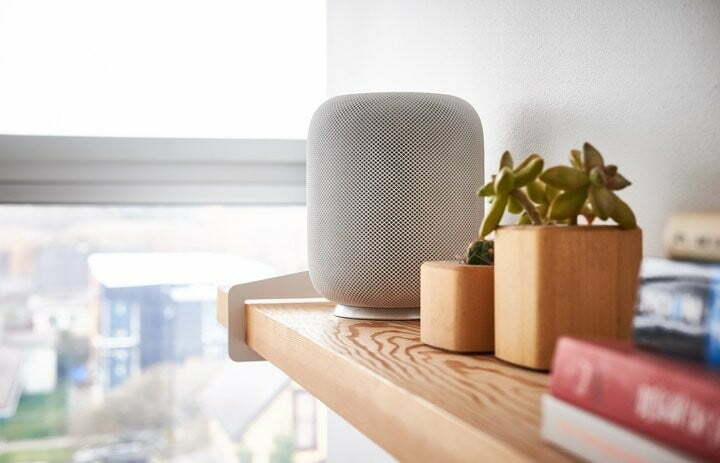 While critics noted that the HomePod served its purpose well as a speaker, its functionality is rather limited when it comes to the “smart” aspect, and its high price point and lack of third-party integrations made it somewhat less appealing than other smart speakers on the market. It remains unclear what production plans for this device will be, but we will be sure to update you as more information is made available. 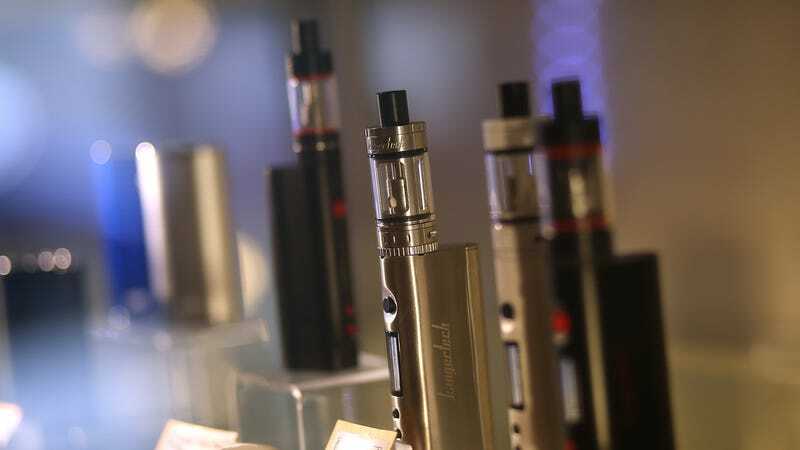 Nearly 30 workers at an e-cigarette plant in Salem, Massachusetts were hospitalized following a mysterious incident. Firefighters were first called to the Thermal Circuit plant around 3:30pm Sunday afternoon to investigate a chlorine leak. A hazardous material team then came to the plant and took care of the chlorine issue, acting Salem Fire Chief Gerry Giunta told Gizmodo. The hazmat crew waited until there were no more readings of chlorine in the building and then left at 8:25pm. As result, a building was closed and no injuries were reported at the time, said Giunta. Then, authorities got another call from the plant at 9:17pm, reporting that several workers had fallen ill and the building was being evacuated. Giunta said that all but one of the workers had been treated and released. One worker had a seizure, but Giunta could not say if that was related to the incident. He said HIPAA laws prevented the doctors from sharing information about the illnesses. The hazmat team returned after the alarming report of evacuation and illnesses, but found no traces of chlorine. Massachusetts fire services spokesperson Jennifer Mieth told Gizmodo that hazmat teams finally left the plant, for a second time, at 2:30am early Monday morning, after finding no traces of harmful chemicals. “Entry teams covered the entire building with a variety of meters and found no contaminant that would be hazardous,” she said. Both Mieth and Giunta said Occupational Safety and Health Administration planned on sending an industrial hygienist to the plant today to conduct a through investigation. An app that has the needs of modern-day parents in mind, Winnie, has now raised $4 million in additional seed funding in a round led by Reach Capital. Other investors in the new round include Rethink Impact, Homebrew, Ludlow Ventures, Afore Capital, and BBG Ventures, among others. With the new funds, Winnie has raised $6.5 million to date. The San Francisco-based startup, which begun its life as a directory of kid-friendly places largely serving the needs of newer parents, has since expanded to become a larger platform for parents. Winnie was founded by Bay Area technologists, Sara Mauskopf, who spent time at Postmates, Twitter, YouTube and Google, and Anne Halsall, also from Postmates and Google, as well as Quora and Inkling. As new parents themselves, they built Winnie out a personal need to find the sort of information parents crave – details you can’t easily dig up in Google Maps or Yelp. For example, you can use Winnie to find nearby kid-friendly destinations like museums or parks, as well as those that welcome children with features like changing tables in restrooms, wide aisles in stores for stroller access, areas for nursing, and other things. Winnie serves as a good example of what investing in women can achieve. Somehow, the young, 20-something men that receive the lion’s share of VC funding had never thought up the idea of app that helps new parents navigate the world. (I know, shocking, right?) And yet, the kind of questions that Winnie tries to answer are those that all parents, at some point, are curious about. The data on Winnie is crowd-sourced, with details, ratings and reviews coming from other real parents. Listings in San Francisco may be more fleshed out than elsewhere, as that’s where Winnie got its start. However, the app is now available in 10,000 cities across the U.S., and has just surpassed over a million users. In more recent months, Winnie has been working to expand beyond being a sort of “Yelp for parents,” and now features an online community where parents can ask questions and participate in discussions. “The crowdsourced directory of family-friendly businesses is still a huge component of what we do…and this has grown to over 2 million places across the United States,” notes Winnie co-founder and CEO Sara Mauskopf. “But we also have these real-time answers to any parenting question from this authentic, supportive community,” she says, referring to Winnie’s online discussions. The idea is that parents will be searching the web for answers to questions about toddler sleep issues or good local preschools or breastfeeding help, and Winnie’s answers will come up in search results, similar to other Q&A sites like Quora or Yahoo Answers. “A lot of younger millennial parents are turning to Google to find answers to these questions,” adds Winnie co-founder and CPO Anne Halsall. “So we want to have the answer to these questions at the ready, and we want to have the best page. That’s an example of something that’s yield a lot of traffic for us, just because no one else had that data before Winnie,” she says. Related to this expansion, Winnie is also serving this data across platforms, including – obviously – the web, in addition to its native app on iOS and Android. The hope is that, with the growth, business owners will come in to claim their pages on Winnie.com, too, and update their information. In the near-term, the founders say they’ll put the funding to use building out more personalization features. “As a technology company, we have a unique opportunity to give you this really tailored experience that grows with your family over time – so as your children are getting older, and you’re entering new phases of development, our product’s adapting and putting relevant information in front of you,” Halsall says. Data on businesses serving the needs of parents with older kids – like summer camps or driver’s ed classes, for example – are the kind of things Winnie will focus on as it grows to include information for more parents, instead of just those with younger children and babies. Winnie will also use the funds to hire additional engineers to help it scale its platform. Esteban Sosnik from Reach Capital joined Hunter Walk from Homebrew on Winnie’s board as a result of the funding. The app is a free download for iOS and Android, and is available on the web at Winnie.com. In the new Netflix film “Set It Up,” two personal assistants (played by Zoey Deutch and Glen Powell) come up with an unusual plan to keep their tyrannical bosses (Lucy Liu and Taye Diggs) busy: Make them fall in love with each other. As decreed by the unbreakable laws of romantic comedy, it’s not just the bosses who find themselves attracted to each other, but their assistants as well. And in the latest episode of the Original Content podcast, we’re joined by Jon Shieber to talk about the film. If you’re looking for a wildly original or unpredictable story, “Set It Up” probably isn’t the movie for you. But if you’re looking for a sweet, funny and of course romantic distraction from the ongoing horror show of the real world, you could do a lot worse. This also leads to a broader discussion of what we’re looking for in romantic comedies. Plus, we cover the latest streaming news, like the launch of Instagram’s IGTV video hub, Apple’s pickup of the new immigrant-themed anthology series “Little America” and Apple’s new production deal with Sesame Workshop. And on top of all that, Jordan shares some thoughts on her new AirPods. Venmo today is officially introducing its own debit card in partnership with MasterCard, following beta tests of a Visa-branded debit card last year. The new card will allow Venmo users to pay anywhere MasterCard is accepted in the U.S., and will record transactions to the user’s Venmo account for easy splitting with friends. It can also be used at an ATM to withdraw funds from the Venmo’s account’s balance. Because of the change, however, existing beta customers won’t be able to continue to use their Visa-branded Venmo cards – they’ll instead be invited to sign up for the new Venmo MasterCard, issued by The Bancorp Bank. One benefit to moving to the new card is that it will no longer feature an ugly lump of dough on the front (get it? dough? groan…). The updated card does away with that joke, and comes in a choice of six colors including black or white, as well as selection of bright colors, like yellow, pink, blue or green. The company explains it learned from beta customers that users preferred a “more simplified look” that also offers personalization options. Younger, millennial customers are Venmo’s target market, and they do tend to care what their cards look like, with a preference for metal cards these days. But Venmo’s beta card missed the mark on style in a big way. Meanwhile, rival Square’s Cash card looks more upscale as a black card with users’ own laser-printed signature on the front. Of course, the main benefit to using a Venmo card is not how it looks – it’s that it makes splitting dinners, drinks and other purchases easier. To take best advantage of this feature, you’ll want to turn the Reloads feature on which will automatically use your default funding source – that is, your bank account – to add money to your Venmo balance when you need to make a purchase. Unlike the beta version of the card, the MasterCard-branded Venmo card can be used to withdraw up to $400 per day at ATMs displaying the MasterCard, Cirrus, PULSE, or MoneyPass acceptance marks. No fees apply for U.S. MoneyPass ATMs, while the others will charge a $2.50 ATM domestic withdrawal fee. The card can also be managed from within the Venmo app, allowing users to activate their new card, reset their PIN, or even disable a lost or stolen card. There are no fees for using the card for purchases, even if you get cash back at the point of sale. However, if a signature is required to get cash back at a bank, you’ll pay a $3.00 Over the Counter Domestic Withdrawal Fee, the company says. While the card could take the place of a credit card in Venmo users’ wallets, it can’t replace your bank card – there’s no way to deposit cash or checks to your Venmo account, like you can do with a bank, and there’s no bill pay functionality. The launch comes at a time when there’s a shift in how younger consumers are using payment cards and banking services. Many are turning to online banks, like Simple, Varo and Chime, and transfer money through peer-to-peer (p2p) payment apps like PayPal, Venmo and, now, the bank-backed app Zelle. Tech companies like Apple and Google are also getting into the p2p space, with their own services like Apple Pay Cash and Google Pay Send, for example. Venmo says its new card is in limited release starting today. Beta customers will be invited to sign up, and others will need to fill out a form to reserve their spot. The search for the top TC Top Pick applicants to exhibit for free in Startup Alley at Disrupt San Francisco 2018 is rapidly coming to an end. Let this stand as your final reminder to get your “ish” together and apply to be a TC Top Pick. The application deadline is June 29, so drop what you’re doing and apply, apply, apply. Did we mention that you should apply, like, today? Why should you apply? If our TechCrunch editors choose your company, you’ll get to exhibit alongside 1,000+ early-stage companies in Startup Alley, our amazing menagerie of innovation. It’s a hub of collaboration, connection, opportunity and inspiration — and you get to be there for free. We’ll choose a select few from each of these categories: AI, AR/VR, Blockchain, Biotech, Fintech, Gaming, Healthtech, Privacy/Security, Space, Mobility, Retail or Robotics. TC Top Picks win a free Startup Alley Exhibitor Package, which includes a one-day exhibit space in Startup Alley, three Founder passes (good for all three days of the show), use of CrunchMatch — our investor-to-startup matching platform — and access to the Disrupt SF 2018 press list. You’ll also get lots and lots of media attention, including a three-minute interview on the Showcase Stage with a TechCrunch editor — and we’ll promote that video across our social media platforms. That exposure keeps reaping benefits long after the conference ends. Exhibiting there for free is an even easier decision. Disrupt San Francisco 2018 takes place on September 5-7. The TC Top Pick deadline is June 29. Don’t delay one more day. Go and apply already! Seniors over 65 are one of the fastest growing age groups in the United States, but they are still an underserved market. Many don’t need assisted living or in-home care, but they do need help with transportation and errands. Most of all, however, the elderly want companionship. Papa, a service that bills itself as “grandkids on-demand,” wants to fill the gap by connecting college students, called Papa Pals, with seniors. Named in honor of founder and chief executive officer Andrew Parker’s grandfather, the Miami-headquartered startup is currently participating in Y Combinator’s accelerator program. Seniors can use Papa’s app (or a customer service line for those who don’t own a mobile device) to book a Papa Pal. Papa Pals might take seniors to the grocery store or doctor’s appointments, help with chores or teach them how to set up a new smartphone or tablet. They also provide company for seniors, many of whose own adult children or grandchildren are busy working or live far away. Papa is currently available in Florida and will began expanding into other states next year. Before launching Papa, Parker was vice president of health systems at telehealth company MDLIVE. He lived near his grandfather, who had early onset dementia, and would often go over to help him with errands. One day, however, Parker was unable to go on a grocery run. Since his workload was increasing, Parker placed a Facebook ad for a helper. A woman named Andrea responded and after his family interviewed her and did a background check, she began assisting his grandfather regularly. Papa Pals are college students, many of whom are studying nursing, social work or hospitality. Before they are matched with seniors, Papa Pals undergo a background check and a motor vehicle records check and inspection. The company also asks them to complete a personality test. Parker describes the ideal Papa Pal as not only interested in working with seniors for career experience, but also outgoing, empathetic and patient. “If you want to be a Papa Pal to make a couple extra dollars, then it’s probably not a good fit,” he says. One of the most requested services is transportation. Many seniors need more than a Uber. They also want someone to help them shop and unload bags or sit with them in a doctor’s waiting room. Papa Pals also help with technology, like teaching seniors how to set up Netflix or video chat with their grandkids. The service starts at $15 an hour and a premium membership option allows seniors to interview Papa Pals, pick a team of helpers and request same-day appointments. Parker says Papa has plans to expand into at least five states next year. The startup also wants to build an ecosystem of senior services, so when customers start to need more intensive services like in-home care, Papa can refer them to its partners. While there are apps like Honor that help seniors find in-home caregivers, Papa’s on-demand service is unique. Parker says one of the things that will help it maintain an advantage against any future startup competitors is its backend, which enables it to match seniors with available Papa Pals quickly, whether they use its app or phone number. Papa Pals see an in-app dashboard that lets them accept appointments, then provides them with requests made by seniors or their families. The system also manages traffic and logistics and algorithmically calculates compensation for Papa Pals (on average, Parker says they make $20 to $30 per visit, which typically last about three hours). Papa is currently gearing up for the introduction of new Medicare Advantage supplemental benefits that will cover some of the services it offers, like transportation to medical appointments. The ruling will go into effect next year and Papa has begun initial discussions with providers of Medicare Advantage, which has about 20 million beneficiaries. Papa is also expanding its business-to-business model by working with partners, including senior living facilities, to offer Papa Pal services to their residents. After years of promises, multiple reports claim that keyboard and mouse support is officially coming to Xbox One and could be a reality as soon as this fall. Finally, your dreams of being endlessly sniped by a 14-year-old with god-like reflexes will come true. At the moment, keyboard and mouse support is theoretically available on the Xbox, but aside from Minecraft, developers have almost entirely avoided officially including it. You can also use special hardware like the Xim USB hub to get around the developer-imposed restrictions. Especially in fast-paced first-person shooter games, controllers are considered to be a disadvantage compared to the whiplash speed of a solid mouse and keyboard combo. But Microsoft is reportedly giving developers input detection tools so they can match players based on their control type. Windows Central was the first to report that Microsoft met with developers earlier this year about an upcoming partnership with PC accessories manufacturer Razer. Microsoft reportedly gave a presentation in which new Razer products were previewed and (because this is Razer) the company’s flashy custom Chroma keyboard lighting was integrated. Windows Central published several slides leaked from the presentation. On Monday, The Verge confirmed the report through its own sources that are familiar with Microsoft’s plans. The Verge reports Bluetooth and custom mouse drivers still won’t be supported, but any keyboard and mouse that uses a wireless dongle should work just fine. The new support is planned to come with the fall update on Xbox One. Microsoft has been gradually blurring the lines between the Xbox and PC while championing multiplayer cross-play between gaming platforms. The company has implemented “play anywhere” and the Windows 10 Xbox app as part of this initiative, and its console “exclusives” are often available on PC. 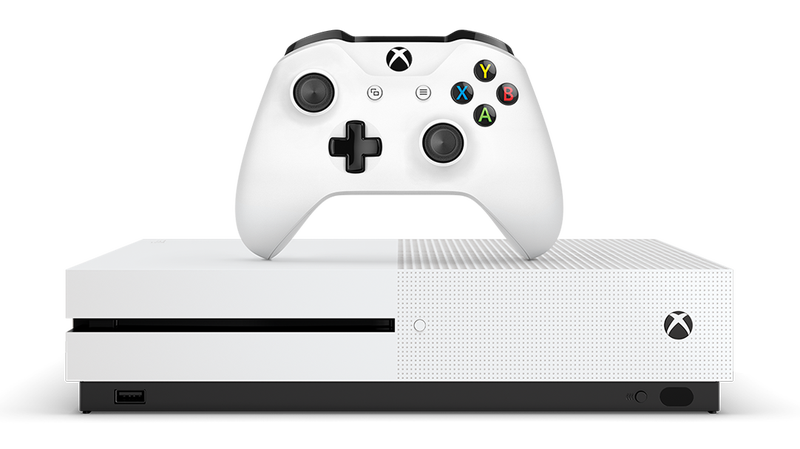 The more powerful Xbox One S console was even rumored to be Microsoft’s big leap into just releasing a cheap Windows machine for gaming, but turned out to just be a hardware update. While Sony continues to reject cross-console multiplayer capabilities, Microsoft sees an opportunity. It even teamed up with Nintendo last week for an ad campaign promoting Minecraft’s ability to support cross-play between the Switch and Xbox One. The biggest problem is the aforementioned advantage that PC players have had in some games when they use a mouse and keyboard. Anyone who’s tried to play PUBG mobile and encountered one of the cheaters who figured out how to use a mouse and keyboard knows how extreme the disadvantage can feel. But Microsoft is allegedly trying to make the playing field more level than ever. According to the presentation obtained by Windows Central, the company is giving developers a new API to detect unauthorized peripherals which emulate controller behavior. Not only are developers encouraged to monitor the type of input device and set up multiplayer matchmaking accordingly, but they’ll hopefully be able to weed out the cheaters who use devices like the XIM to dominate controller-tethered players. We’ve asked Microsoft for confirmation of these details and the expected fall release date, but didn’t receive an immediate reply. In the meantime, the Nintendo Switch has focused on being as un-PC-like as possible with major returns. Without even having a true online service, the Switch had the best first-year sales of any console ever.